This post is another personal development experience, detailing a healing session I had yesterday with a local practitioner in my area, Eileen O’Hare. If you’d prefer to just read about technology and the future of the web, wait for my next post. If you’ve never participated in an energy healing session and are curious what it’s like, read on! today i went to eileen for a healing session. a lot of things have been cropping up, and it felt time to let go of some things that were no longer serving me. we started with about an hour and a half long conversation, centered around the topic of aloneness and isolation. she asked me how i felt about being alone. i said that i enjoy my isolation, that i need that time to think and reflect, that it makes me a better person for others when i have time to myself. though i spend much of my time behind a computer, it is not done aimlessly browsing the web. i am actively engaged in conversations all day – either on twitter, google chat, or in video discussions on skype. though i am alone in physical space, i am not lonely. she asked if i feel alone. i said that i have always felt different, since i can remember. not fitting in. always looking at things differently than other people, and being punished for it. often feeling misunderstood, which led to frustration, anger, loneliness, and despair. feeling that i must conform if i am to be accepted. feeling that i must apologize for who i am, or just hide that person altogether. i said that i have found myself, reconnected. i want to be authentic all the time, be real, to live in accordance with my fundamental values, and never apologize for it. i said i am tired of feeling not worthy, tired of this lack of self-respect. i am surrounded by people who cherish my existence and the things we are able to share, and i see the highest good in all of them, but not in myself. i can’t do this Work and call for an open, globally cooperative society, and talk about the values that are necessary in that system, if i can’t embrace them myself. and it does start with the self. within. acknowledging the expansiveness and beauty of who we are, but also doing so without ego – having a love of self that is almost objective, humble, respectful, and timeless. and once that recognition is made, and we see ourselves, we are able to see others too. others who are always around us, but we have been blind to. i see now what it means when they say you can’t love others until you love yourself. the love is not a self-indulgent arrogance, it’s a healthy respect, awe, wonder, and gratitude for our capacity to be. she said she felt this self-isolation was strong within my lineage, on both sides. she asked what the relationship between my parents was like growing up. i said i saw that my parents lived their lives in parallel, but were clearly on separate paths. perhaps out of fear they chose to stay together, but neither seemed happy with the other. my mother was a reiki master and practiced meditation and holistic medicine and wanted to be healthy and grow and expand. my father liked to drink after work every night, and smoked a pack of cigarettes a day, and stayed out late b.s.ing with friends, and was overweight. both loved their lifestyles immensely and neither apologized for it….. but they were not able to share their ideals and values with each other. it was like they spoke two different languages. neither inherently a bad person, and neither lifestyle inherently “wrong,” but simply not harmonious or in resonance with each other. i said that i observed these things, and they seemed quite clear to me, though maybe my parents were deluding themselves about it. each was isolated from the other, yet still essentially carrying out the lifestyle they truly wanted. but doing so alone. by choice. i said that i did not want to repeat that pattern, that it was not enough to live a life of passion, that i wanted a partner who i could share these things with. some people say your partner doesn’t have to be on a similar path as you, and it’s not fair for you to force them to. i agree. at the same time, it is our choice if that type of relationship is acceptable to us. is it ‘good enough’? is it desirable? preferable? ideal? deconstructing things already built seems like it would be excruciatingly painful and cruel. and without patience, communication, and an open heart, i’m sure it would be. but i saw their unhappiness, and it caused me pain. i asked them to get a divorce, so they could each be happy in the life they chose to live. they were afraid. it never changed. creativity exists on the edge of chaos. i accept that. i live there. my way of thinking and living frightens those who choose a more conventional lifestyle. i understand that. i don’t want to push my “ideologies” on others. i just want to live in accordance with the values i have identified as fundamental to my well-being without compromise. if people are unable to handle this, then i will respectfully choose not to engage. but no more hiding. she said we were ready for the healing to begin. i had identified my issue. a repeated pattern of self-imposed isolation, of feeling alone and misunderstood, even when surrounded by those that care. i could break the chain now. she took me through a guided visualization process. she asked me to imagine myself on a deserted island, and to let her know when i had the image. 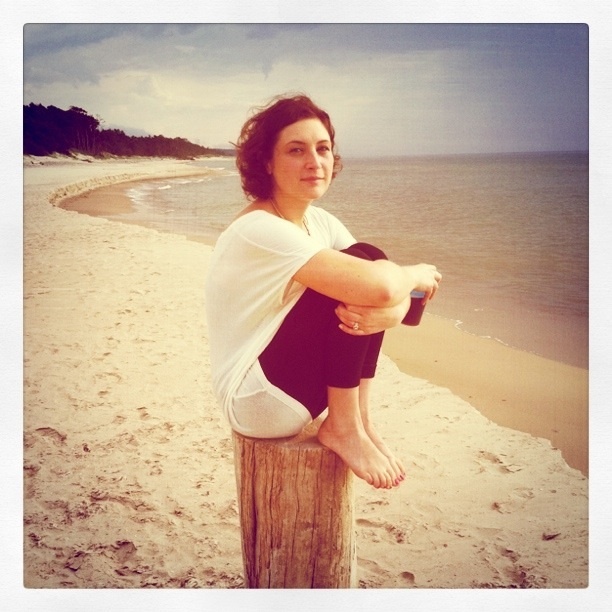 i saw myself sitting on the beach, toes dug into the sand, arms wrapped around drawn up knees, looking out to sea. i said i had the image. she said she felt arms wrapped around knees drawn up – did that resonate? i said yes, exactly how i pictured it. she said it was time to reconnect with those aspects of self that i have suppressed, to find them and welcome them back. she said to imagine diving into the water, diving deep to the bottom, where those pieces of myself were laying, waiting to be rediscovered. she said to see if there was a girl there, and what she looked like, and how old. i saw a girl around 5. tanned from the sun, barefoot, with dirt on her body and feathers in her hair. i took her hand and pulled her to the surface. we looked at each other, and she smiled, delighted. she was filled with wonder, curiosity, and mischief. a wild child. running, pointing, exploring, discovering. i got down on one knee, and we hugged. i had her back. i can embrace my childlike fascination with the world without fear or apology. eileen told me to dive down to the bottom again, and this time look for a woman. i saw her. fierce, like an amazonian warrior. (my legs actually started to shake as i visualized it). i was in awe, terrified, enthralled. i was afraid to touch her, but finally reached my hand out and pulled her to the surface. she was beautiful, proud, hard, self-sufficient, seemingly invincible. her body was covered in symbols, her hair wild and unkempt, a knife strapped to her leg, a quiver of arrows on her back, her eyes clear and firm but kind. i put my hand on my heart and bowed to her. she did the same. eileen asked if this woman was trying to please her mother to show her worth. i thought, yes, this was the case. she was so strong and frighteningly beautiful, but still had a hidden insecurity, that even in all of her strength and accomplishment, it was somehow still not enough in her mind. maybe this mythological me really existed at some point in time, and this pattern has repeated. but i understood what i was showing myself – that i carry an inner being that is beyond comprehension, and it does not need external approval in order to be real or worthy. we already have what we need to carve our path in life, and it is our ability to acknowledge that we are creators and manifestors. we don’t have to be afraid of this if we don’t want to be. we can embrace it and run with it. we can choose to be the change we want to see in the world. and so i reclaimed that woman, who was strong, determined, and wise. and finally, eileen said she saw a skeleton in the water, and that i should pull it up and see what it said. (i felt myself energetically recoil at first, but i forced myself to continue). i pulled the skeleton out, and it stood before me. she asked me if it had anything to say. i just imagined it with it’s hand on its hip in a casual posture, almost comical, as if to say, “why do you fear death? that is so silly!” i laughed out loud, because suddenly, it did seem silly. it was just another version of myself, one that this body will be one day. it’s inevitable, why fight it? she asked if there was anything else it wanted to communicate. i pictured it pointing out at the landscape, and when i looked, suddenly there were many beings there. it felt like it was saying that there are others here, waiting, watching, and it is safe to receive their wisdom, if i choose to. it indicated that perhaps i was ready to become multidimensional. eileen asked, but how will you protect yourself when interacting on these levels? and i thought, good question! and then i saw myself in a capsule of light, emanating from the crown of my head, and showering down around me and enclosing me. she asked what color it was. at first i said white, but then i said rainbow, because it looked like the colors that are projected on a wall when sunlight hits a prism. she said ‘good.’ so i know how to make myself safe when going to these places. it was time to integrate. i stood in a circle with my two other selves, the curious child and the fierce tribal warrior, all holding hands and making a circle. then i looked at the girl and opened my heart, and she became a wisp of smoke and entered in through my heart chakra. then i did the same with the woman. and i felt very complete. i reembraced those aspects of myself, while leaving behind the notion of not being worthy and not having self-respect. i noticed that the sense of isolation is only an illusion, one that we can choose to destroy once we are able to see it. all of my ideas are based around an interdependent society…. if that is something i *truly* believe in, then i must become interdependent. i am not alone. none of us are. we then went through an exercise to visualize that. we returned to the original scene of me on a deserted island. she asked me to envision all the people who were kindred souls, fellow travelers on this path, and to connect with them. i thought of people i know ‘in real life,’ as well as the amazing people around the world i’ve met through my blog and the web. i imagined standing there with arms open and head tipped back, and that rainbow light extending out from my head and heart out around the world, touching all those people dear to me. (it was such a nice moment, and even if it only happened in my imagination, my heart ached with the joy of it). i felt very connected to what i’ve been referring to as my “trust network” – beacons of light around the planet. the last part of the session was the letting go of the perceived isolation that we’ve carried for generations. she asked me to imagine myself lifted off the island and floating high above it. what did i see? it was just water in every direction, as far as the eye could see, with beautiful patterns and reflections bouncing off the ripples. she said to imagine all those people dear to me, as if they were floating there with me. then we watched as the island slowing sink beneath the surface of the water until it was as if it never existed. it meant that being alone is fine and healthy, but does not require loneliness and isolation, or a disconnection from the rest of humanity. those negative feelings are just a mental projection that do nothing to serve our highest good. then we sent the rainbow light to the water itself, the expansive waters of our consciousness, and sent it love and gratitude for providing the space for this self healing. the session wound down from there, and i returned to the room and my body. (of course, there were many other aspects that weren’t mentioned here, but this is just a snapshot of the flavor of the experience.) it was my first time really allowing myself to be creative in such a session, and playing with my imagination as i was guided through the experience. i left feeling both grounded and elated, and felt that a great healing had taken place. and though i am so grateful to know a person like eileen, who is able to perform the work she does with such love and compassion, the real work happens with the individual. this type of “therapy” is not mainstream by any means, and can seem confusing or strange. (it did to me at first). but when i chose to let go, and just *try* to welcome a new experience, i found that i already had many of the answers i was looking for, and i was just waiting to tell myself about them. this blog is starting to reflect different pieces of myself and these ideas, and i only share these intimacies because of the value they have provided me in contextualizing my life experience and understanding who i was, who i am, and who i aspire to be. i think we all carry a lot of pain and hurt inside of us – even if not something overtly violent or traumatic, it does seem that much of what we believe about ourselves and the world are based in reaction instead of creation. there is much healing to be done inside before we can extend ourselves out to each other and offer support. perhaps a shamanic healing ceremony is not for you, but there are many many different kinds of practitioners these days. it may be worth exploring which works for you. i’ve found for myself that it is wonderful to have friends who will lend an ear and let me talk things out that trouble me, but that healing takes place at a deeper level when i’m able to interact with someone with a higher level of intelligence and clarity of mind than myself, who can guide me to my answers by knowing how to frame the questions. i think there is a lot of trickery in the rational mind, and the mythologies and stories we weave for ourselves don’t always make sense for our hearts. i am a big believer in the need for us to tap into that emotional/intuitive aspect of ourselves, and reconnect with a wisdom that is already there and always has been. and what does any of this have to do with technology and the web? well, i think the web is this amazing communication tool, and i’d like to see how we can use it with more intention and purpose. there is a lot of work to be done around the world, in our minds and hearts, if we are to redefine what is truly important and then lead our lives from those values. this process doesn’t have to happen alone anymore, or even laying on a couch in a sterile office. we are capable of extending ourselves out to one another via the web, connect with people who share our desire for authenticity, and help each other learn and unfold. i think it’s a very exciting time in history, and i’m glad i can share my process with you, and i’m grateful to all of you who have chosen to engage with me too. Thank you Vanessa for being that part of me that is transiting at the very depth breadth and edge! Welcome back from the beach of healing, beloved soul. Worthy. We all are. Some know it, some will. Just reading, I am feeling close. Remembering own visualizations. A high cliff to stand on, ocean, and a whale that appears just as I swoop down like a bird to meet it, with no fear of falling and no thinking. Keep going, inspired one, and the worlds around you will follow to a degree. thanks bernd, i will keep going forever. always unfolding! As usual Venessa, you leave me speechless. There’s much I’d like to communicate, but words aren’t the correct medium. Perhaps the web’s greatest gift is the ability to connect and see ourselves reflected in others. the idea of mirrors and fractals are starting to make a lot more sense to me now. mirror neurons were recently “discovered” – located in the brain, they will fire in one person while watching another person performing an action. for instance, it’s like your brain creates a simulation of another person’s behavior, perhaps explaining things like empathy and being able to adopt another person’s perspective or point of view. fractals are a concept in mathematics that display self-similarity. my interpretation of what it means in terms of humans is – imagine you had a prism and you smashed it into pieces. each piece is still a holographic representation of the whole. so, following that line of thought, each of our thoughts, actions, emotions, and behaviors, though an isolated moment in time, are the embodiment of everything we are – all of our programming, life experience, etc. so, if that were the case, it means that there is a wealth of information available to us about each other at any given time, if we choose to be consciously aware. so, when you speak to someone, (or, i should say, when you LISTEN to someone), they are giving you clues, even unconsciously, about everything they are. so i think we could probably become a lot more intuitive about each other and our intentions if we can imagine that even though people like to keep themselves “private,” we actually tell many things to each other constantly through the way we present ourselves. how this relates to the web – well, we can learn a lot about each other by paying close attention to the way we write our words and engage. and also, the mirror part – by explaining our own process of development and healing, as i try to do, others can develop and heal just by reading the experience of someone else. we can all teach each other and help each other grow. lastly, i’d love to hear you expand on what you mean when you say ‘words aren’t the correct medium.’ a lot of things came to mind when i read that, but i don’t want to influence your response.. so please expand if you get a chance! thank you so much for sharing such beauty, venessa! i feel touched and connected. there are so many things we have in common… it never ceases to surprise me and i feel we still have loads to share. i so wish i could share with you some of the shamanic teachings that have been flourishing in brazil these past years. i am making this wish here now, that we will someday meet each other and share many paths. i’m sure we will meet one day. been thinking we should do a Burning Man camp next year. heh. or maybe a huge 2012 party. the dawning of the age of aquarious! yay! Through the web, there is what i call “mirror” time. We read what we write, and we write what we read. Meaning, through the internet we are given the opportunity to see ourselves through this mirror, when we click on a link to read something, view something, hear something, it’s actually something that is already written in our hearts and minds. When we write, speak, share outwardly, we share what we have accepted in ourselves. This type of conversation is with ourselves, and that makes us feel connected. Even behind a monitor we are still hesitant to express to write what we read in ourselves, you Venessa are reflecting back to people what they are beginning to realize in themsleves, your a mirror and you see your reflection in others…. This is what the web and technology have to do with this emerging design, the structures in blogs and comments, twitter, and so forth, and now junto. Your healing yourself as others heal through you, with you, and that is so important to our healing as a culture, as a society, because it’s the only way towards authenticity. Yes Spiro that’s so true however dont stop here, the web shows us how it is in the real world too. This is how it truly is- the mind projects and the mirror reflects. The web has this capacity to reveal it blatantly to us. I believe it was designed that way I figure Tim Berners Lee knew this from his interest in eastern mysticism. He designed the web to mimic the human mind…and show it to us. Every day all day I have the choice to engage in fear or love -if only in my mind. The internet is useful for this -do I align with an Orwellian-Matrix view of socio technological transformation, fearful of ‘State’/’the other’ control or do I focus on the solutions, the possibilities, the good, the playful, the unfolding consciousness of the ‘One’? Well you guys are really helping me to focus on the latter, so the more of this will appear in my world. I really appreciate your shiney examples, bringing it into form. It is pretty cool, the more I focus on it the more I create it, the more I refocus on it, the more I find it in others in the net in myself etc. i’m so glad we found each other (all of us) and that we are going through this together. i have been on this path of self-discovery since i can remember, but only since i created this blog and have all these mirrors and perspectives around me can i feel myself change daily. i love it, and i appreciate you! Thank-you for your beautiful heart, mind and spirit. And for sharing all three with me. I wept while reading what you shared, recalling the beauty of similar experiences I’d had in my thirties, as stage of powerful growth. I did not continue reaching out for other souls traveling a path that made sense to me…I stopped at being alone, then buried myself in a demanding marriage. Being a technology worker, I felt very alone and strange and different than my male peers (this was 20 years ago, mind you!). So the warrior camoflage was easy for me to lose myself in. Bottom line is…what you experienced is real. Who you long to be in the world is necessary for all of us. Your blog, and especially this post, is like a cool drink of water in an arid world of logos and restrictions. We are all body, mind and spirit. We are all energy. We all need communion. And I thank-you for having the courage to take risks in finding a way to manifest beauty in the world on your own terms. interesting that you experienced something similar in your 30s.. someone recently told me about saturn return. i hadn’t heard of it, but it fits in well with the timing! Thank you for sharing this, Venessa! A lot of amazing things to find in sub-personality work. “i think there is a lot of trickery in the rational mind, and the mythologies and stories we weave for ourselves don’t always make sense for our hearts,” particularly struck a chord with me. thank you suzie. it was great to meet you, i hope i can come to australia to visit one day! It’s amazing how such a session helped you and I was thinking that I needed to find myself too. In fact i’ve been in reflexive mode all morning trying to find what are my fears and who I want to be. I just found out that my biggest fear is not to thrive and probably that’s what is holding me back. I realized some months ago that I’m not comfortable fitting in so this discovery journey goes on. I agree that we need to find ourselves and be aware of our fears and how we work mentally and spiritually to be able to enter into a space of hyper collaboration. It’s awesome that so much can come from Andean tradition. I’m Peruvian and for sure will try to find a session like that here, it seems like an awesome experience. Though my family is not Peruvian in origin I think that Andean spirituality was very advanced in helping people find themselves to collaborate in society. The first post I wrote on my blog was about it. Lets find our selfs, our questions, our answers and then lets find each other to help us thrive. there are so many books and methods and practices i have tried over the years, and all have been influential in some way. a lot of religious/spiritual/philosophical texts have been really transformative, but many are difficult to unpack because of so much metaphor and parable or simply language that was lost in translation. a recent book i read that was simple to understand and made sense was The Untethered Soul by Michael Singer. best of all has been the people. cutting toxic people out of your life (or at least, shielding yourself from their negative energy), and trying to surround yourself with positive, optimistic, forward thinking and inspired people has been very good. i end up feeling better like through osmosis. I just finished a book called Tantra: The Supreme Understanding. It’s crazy. A few years back I read The Book of Understanding which is a little easier on the head. Deepak Chopra is also great. He showed me how to be a wizard in the Return of Merlin. I am honored to share your experience and be part of your trust network. Keep up the great exploration. also a fan of deepak, i actually went out to his center in la jolla, ca and studied with him and wayne dyer back when i was 16.
the rest i will look into, thanks for sharing all the great resources! Venessa, that was a beautiful and touching narrative of what you experienced & felt. Aside from the surface meaning in your words, you brought out a lot of subtle, hidden aspects of our living and self. Life is complex – and part of the complexity comes from the fact that we are mere mortals wired to emotions, attachments, psychological & physical impulses, desires, ambition, and lust. And so making life ‘simple’ involves dedication and the painful process of slowly detaching oneself from these default linkages and finding your true core. This is easier said than done. You talk about “it is our choice if that type of relationship is acceptable to us”. True- however, culture place a very important role here. In many Eastern countries there is an unspoken obligation of familial duty that transcends what is good for oneself. So many do make the choice but the choice is not reflective of what they truly want but what is generally good for the family. Another aspect that comes into play is mere survival. It is always easy to make “choices” when you are well-off or are financially independent. I can tell you based on my own experiences that when you are struggling to just rustle the basic needs for yourself & your family, it is very very difficult for your ‘mind’ to control your ‘body’ and you accept suboptimal choices which normally you would have rejected. Now I am not saying that you should let go and go with the flow. Finding one’s true self should be a life mission for everyone. For some the path might get murky and clouded at times, but if you keep at it directionally eventually you will come out with some true enlightenment. Also, I would say that ‘being alone’ at times is not a choice but something that is absolutely needed for the evolution of consciousness. As you beautifully portray, we have many ‘avatars’ buried within ourselves – it is up to us to isolate them, nurture the right ones, and gently dissolve the ones we don’t want. And lastly you talk visualization. Visualization (in my mind) plays the dual role (almost like a 2-way filter) of (a) helping you focus by keeping the noise out of your consciousness and, (b)assisting you in finding your avatars deep within yourself. As such I think they are a very crucial component of discovery. Ned, very well said and a narrative i think that resonates with me, as i think for others as well, the spiritual journey is the same for all of us if we choose to take it, and if we do, your descriptions noted above exemplify the process of one’s path. I don’t know if it’s a painful process, if we can see it from a detached state, however some things require us to “get on the emotional train” and go with the flow, live it conciously through until it is healed, Venessa shows us this through her post. I think the first thing from many things is taking responsibility for our conscious awareness, it can be a scary thing to heal consciously, but it must be done to reach “dimensional time” our core being, from there it’s a wonderful movie unfolding in real time. You are right about the taking responsibility and living it consciously part. Just like physical wounds have a continuum, with minor ones self-healing without much attention but the more serious ones requiring conscious attention and treatment on our part, emotional ‘wounds’ have a similar continuum where certain deeper ones can heal only if one consciously addresses it (instead of ignoring or running away from it). And just like even a healed physical wound might leave a scar which over time might fade out, some of our emotional experiences will also leave a scar even if we are over it. But with proper mindset and practice these will also fade over time. What makes the emotional healing more difficult for us is that unlike physical injuries where the pain can be reduced or removed by analgesics or local anaesthesia while it is being treated, one has to endure the ache while re-living through the root-cause of their emotional issues. Only after this confrontation and acceptance (however excruciating it might be)can one start on the road to an emotional recovery. Is it worth it? Absolutely. I always tell people, we live for the future and so it is best to unload the past. Carrying the past with us just uses up the precious time you have for the future. Thank-you, Ned, for your affirmation that interpretations of choice vary across cultures as well as classes. The concept of fully, truly, and gratefully accepting the life situation and moment I am in may be more difficult when the distraction of hardship is present. I also know that some of the most intensely beautiful moments in my life have graced me in just those circumstances. For as long as I am able (this moment! ), I strive to live in community with the world. Taking only what I need (which may be different than what you ‘need’ – this is an interpretive word as well), and leaving the rest for someone else. Responsibility – the ability to respond – is enhanced in my life as a result. glad to have you back after your hiatus. and i do understand about the financial thing too. again, i think it’s intended to be that way – we are purposely distracted by all these demands so that we simply don’t have time to THINK. i understand how lucky i am to have been granted time. i have been in grad school now for almost 2 years, not employed, just spending every single day thinking, reading, writing, and engaged in dialogue about social theory, social dynamics, the role of identity and the self, technology, the future, and so on. clearly, it has been a gift to even have the ability to dive into these things so fully without distraction. so, i will be very careful not to ever say “all you have to do is……” because nothing is ever that simple. and i understand i have been in a unique position to even be able to explore these things. at the same time, a lot of this exploration, in my opinion, can be done despite your situation. my greatest growth has not happened through intensive reading or thinking (thought these things are obviously foundational for me), but have happened through developing a trust network, and metaphorically putting myself in their (your) hands. for me, a lot of this growth/unfolding is about confronting yourself and destroying illusions. though we still live within an external environment with all of its norms and mores, the inner transformation CAN happen in parallel. it’s not easy, and i can tell you, many of my relationships with people i care very deeply about have become strained, because they don’t understand what’s going on, and have no frame of reference to relate. this causes me pain and frustration. BUT.. i don’t want to stunt this process because of it. i can only respond with love and compassion, and continue to unfold. as for visualization – i never really had a powerful imagination. (well, as a kid i did… but it slowly went away). lately though, i’m really exercising it, and it’s amazing! i think we’re all artists and creatives… we have just forgotten that gift of play and creativity that seems so essential for healing and growth. if you can really “see” it, you make it possible. i love that. Yes – I am glad to back from certain ‘distractions’ :-). I do want to expand on a couple of points though – and you might or might not agree with me on all. 1. I would like people to understand very clearly that focusing on ‘self’ is not the same as focusing on ‘self-discovery’. There are many people who spend a lot of their life focusing on self – and that in my (humble) opinion has caused a lot of pain and suffering (whether it is workplace issues, divorce, strained relationships, poverty …). It is okay to indulge in self at times, however, that should not come at the expense of hurting others. Focusing on ‘self-discovery’ is a totally different thing. And the key differentiator here being that the stress in the latter case is not on materialistic indulgences but more on the spiritual and emotional side of your being. 2. Self-discovery or discovering oneself should not be a top priority for a person all throughout their life (taking most of their time). Depending on your age, status, financials etc., your focus on this should change – with increasing time spend on this aspect as you grow older. I know everybody will not agree with me on this, but if you are young, married, and have kids, self-discovery should not happen at the expense of family. [To me], that defeats the purpose of attaining true spiritual freedom. Or for example, if you are one of those unlucky souls who lost a job to recession or lost all your retirement savings to a Ponzi scheme, then your first priority should be to correct that situation before seriously engaging on a path to self-discovery (you can still spend some time, but like I said it should be lower in the pecking order). 3. You are absolutely right that our society is not really structured currently to address how to help people evolve their consciousness. Like you I have sometimes found this frustrating but have an optimistic attitude that this might change. There are ways to do that but it has to be a collective effort. Interestingly, I think the ancient world was better at doing this than we are today. As an example (not saying this is the way to go), in ancient India the vedic system divided life into four phases. The split was: Brahmacharya (the spiritual student, focused on learning and spirituality), Grihasti (family-centered, wealth, work), Vanaprastha (a transition phase between materialistic and spiritual, with increasing focus on spirituality, and Sannyasa (complete dedication to spiritual pursuits seeking moksha or spiritual freedom). The underlying goal here was to attain success in the four aims of life – duty/righteousness, wealth, pleasure, and spiritual liberation – by completely giving oneself to these stages. The key point to note here is that if one just wanted to focus on spirituality, then they take a direct path to Sannyasa by renouncing worldly pleasures, being celibate etc (i.e, don’t get married or entagled in the first place). On the other hand, if one took the regular route it is their duty that they selflessly carry out their duties to their family, society, and work. I guess the bottom line here is that I absolutely agree with and believe that every person should go through the self-discovery phase, but this should happen in tandem with and complement one’s current situation. And talking about quotes, I want to leave you with a message from UCLA Coach John Wooden, who died on Friday at the age of 99. He is one of few I have greatly admired for his leadership and insights. Thanks – I feel a huge resonance with your comments, as well as Venessa’s. What you are describing comes across to me as a sense of responsibility to be true to one’s character. When this spirit shines through, it helps spark wider confidence that such quests are worth launching, and seeing through. For me, what is most noble about Venessa’s journey is that she has not changed course for the sake of the readers of her blog. Yet her journey is not a narcissistic one. As I read it, it is to encourage everyone to live empathetically while remaining true to their compass. Each of our paths will be fallible. A culture of learning and hope, still, seems to live in explorers. And just to be clear with the other readers of this blog (in case things are taken out of context), I was in no way hinting or insinuating that Venessa post is about ‘self’. I have the deepest respect and care for Venessa and what she has done/is doing. My points were made from a general perspective and more along the lines of making my own thoughts on this public. As Mark mentions, Venessa’s posts have been a refreshing change and it has encouraged many others to be true to themselves and finding their inner self. Such sessions lead to very personal experiences, so it is kind of difficult for me to exchange on the basis of my own energy healing experiences, apart from one single think: fear is, by far, our worst enemy, and the new communication opportunities we are experiencing on the web will reach their potential when we are able to embrace our fear, and step beyond ideas to interact with our emotions and soul. Let us keep on following the yellow brick lane. This is a bit picky and I may sound harsh, but I think this is an important point to refute. c) go through or embrace it, which then tears out our attachments to false notions. The enemy is avoidance of fear and when we fight fear we are avoiding it. When we avoid fear, it will drive us to a cliff and throw us off and that is by far the most difficult and destructive way of dealing with fear. We still end up learning the lesson, but we could have done it better by not making our friend into an enemy. I’ve heard the notion of the ‘good enemy’ before, mostly from an old friend who read Carlos Casteneda. My interpretation of his explanation is that the term ‘enemy’ is a mis-nomer. It really represents that which we refuse to embrace in ourselves or our lives. I think our emotions are there to make us aware of our environment when we may be operating on auto-pilot. Whether we judge that emotion as positive or negative helps determine our response to it. Speaking personally, an act of aggression(by which I mean an act that does not lead to peace, internal or external) is counter-productive on all levels in life but it’s consequences may be part of the lesson we need to learn from fear. So, perhaps not embracing the fear as an enemy, but it’s lesson as a teacher? thierry, this poem really resonates with me. You are a beautiful soul, with shining light and lightness that is lifting you in magical ways. You are a platform that unites. You warm up my soul. It is so beautiful to be connected, not just on intellectual level, but more in-depth with the human essence of life: the soul. Even if I don’t know you in person, I feel that we are soulsisters. we are DEFINITELY soul sisters! thank you for your thoughts, nadia. a close friend has told me often.. transparency is the new currency. you, my dear, are very rich, and most frighteningly beautiful. the world needs more people authentic in modeling strong hearts. thank you for trusting us with yours. thank you, monica, and i’m so glad you got a chance to play with junto! what you said about getting students involved is super excited for me, and in my mind, is how this idea of having a safe space for interaction and sharing views will evolve. i hope we can continue to advance the quality of the platform technology-wise, but as long as the PEOPLE with the INTENTION are there waiting in the wings, we will find a way to make this happen! Deep thanks, Venessa, for not only living out the brave pioneer that you are but sharing it as well – Junto goes multidimensional! (or maybe we’re just ‘fessing up now!)! Continued namaste blessings on your journey and thanks, too, for perhaps reminding us all about the possibilities inherent in our own. My light goes with you. Your beautiful selection of picture, your open hearted story, a retweet by @cole_tucker resonating with a number I had seen hours earlier. I plugged in headphones, listened and felt. Here is to you and those you love and love back. Njoy. 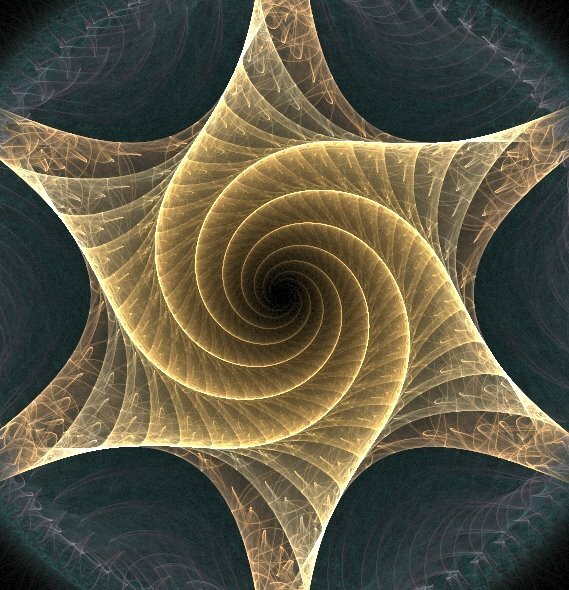 I am convinced that if we will be able in the future to visualise all (or large swathes) of past human activity online, we will see that activity unfold in fractal patterns. I wrote an unsubstantial post about this a couple of years ago, for what it’s worth. Venessa, someone on a FB page asked for favourite news sites. Someone responded by saying they didtn pay attention much to ‘news’ more to creative sites and named yours. I hooked up for your emails last week and just got todays post. Then I had a surf of your site and as a healer I had to read the ‘healing’ post. As I read it I thought, wow, what a beautiful piece of work, what a great healing guide in Eileen and what an awesome journey you took. The I got to the bottom and found that Eileen had trained in the same tradition I trained in, with the Peruvian Q’uero lineage. That’s what i find so amazing about the net now, that we are weaving all these webs of connection and raising consciousness in the weaving and joining. Thank you for a brilliant blog and your brilliant self radiating the light of new consciousness. There is a whole movement in the evolution of the new feminine consciousness and the new/ancient archetypes coming online at this turning point in history. Check out Lucia Rene as another woman who is leading to way. thank you for the kind words, rosalind, and for the link! lucia’s work is very inspirational. That was a long read, but worthwhile. Thanks for sharing.